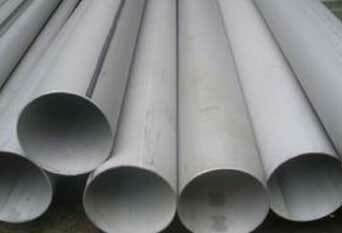 ISO Approved Supplier & Exporter of Seamless & Welded Stainless Steel 409 Pipes & Tubes. Stainless Steel 409 Pipe, 409 Stainless Steel Pipe, Stainless Steel 409 Seamless Pipes, Seamless Ferritic Stainless Steel TP 409 Tubes, Stainless Steel 409 Tubing, Stainless Steel 409 Welded Pipes, SS 409 Pipe, SS 409 Seamless Tubing Stockists, Inox 409 Pipe, 409 SS Tube Supplier in Mumbai, India. Piyush Steel is a renowned exporter and supplier of Stainless Steel TP 409 Pipes, which is titanium stabilised ferritic stainless steel. Stainless Steel UNS S40900 Pipes and Tubes is a ferritic rolled coil stainless steel that has a good combination of heat resistance and corrosion resistance. 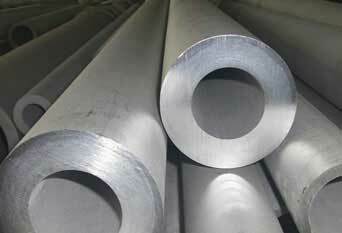 Stainless Steel Din 1.4512 Pipes and Tubesis a stabilized ferritic stainless steel that provides improved oxidation and corrosion resistance compared to carbon steel. Stainless Steel Din 1.4720 Pipes and Tubes is actually a Ti stabilized 11 percent Cr ferritic stainless steel for elevated temperature applications up to 600 Degree C. SS 409 Tubes is quite ductile in the annealed condition and can be easily formed using all commonly employed practices. Buy 409 Stainless Steel Seamless Tubing at reasonable cost from us. SUS 409 Pipes is not susceptible to chloride induced stress corrosion cracking. Optimal material performance is usually achieved in AISI 409 Pipes through efficient design, correct post-weld treatment and regular cleaning during use (if applicable). 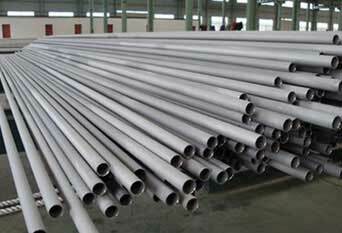 The stability of these Alloy 409 Pipes is provided by the presence of niobium, titanium, or both, in the composition of steels. Type 409 Pipes combines good elevated temperature corrosion resistance with medium strength, good formability and overall cost. The formability characteristics of Type 409 Tubes are very similar to carbon steel. 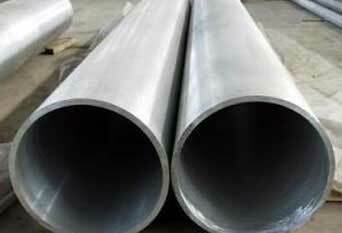 The applications of Martensitic Stainless Steel Grade 409 Pipes are those where appearance is a secondary consideration to mechanical properties and corrosion resistance and where some weldability is required. Alloy 409 Tubes is commonly considered as a chromium stainless steel, with applications in exhaust systems of automobiles and applications that demand weldability. AISI 409 Tubes is an alloy designed principally for the automotive exhaust industry, although it has been used successfully in other industrial applications. SUS 409 Tubes also achieves good ductility and is used in some deep drawing applications. We Supply SS 409 Pipes & Tubes of various origin’s and companies like Nippon Steel & Sumitomo Metal, Sandvik, Sanyo Special Steel, Kobe Steel, Schoeller Bleckmann, Salzgitter Mannesmann Stainless Tubes, Tubacex etc. 409 stainless steel tube manufacturers in mumbai, india, 409 stainless steel tubing sizes, martensitic stainless steel 409 pipe, 409 stainless steel pipes and tubes, stainless steel 409 tube pipe, 409 stainless steel pipe price list, 409 Ferritic Stainless Steel, 409 stainless steel pipe, 6 stainless steel 409 pipe, perforated 409 stainless steel pipe, 409 stainless steel pipe specifications, stainless 409 exhaust pipe tubing, 409 stainless tubes and pipes, stainless steel tube steel, 409 stainless steel, 409 stainless steel pipe tube, ss 409 seamless pipe sizes, 409 stainless steel tubing suppliers, stainless steel 409 tubing suppliers in mumbai, india, tp409 seamless pipe manufacturer, prime quality tp409 stainless steel seamless pipes, 10mm stainless steel 409 tube, 40mm stainless steel 409 tube, 409 stainless steel tubing price in mumbai, india, stainless steel 409 pipe price, stainless steel 409 coil tube, large diameter steel 409 pipe manufacturers in india.